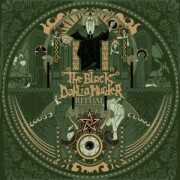 The new album sees the songwriting expertise of band leader and rhythm guitarist Brian Eschbach at its most polished and punishing, exponentially complimented by collaboration with both bass savant Ryan “Bart” Williams and newcomer guitarist Ryan Knight (ex-Arsis), whose blistering leads will dazzle and decimate the ears of both loyal Black Dahlia diehards and burgeoning fans alike. “Brian is the backbone of the band,” professes Trevor. “all of Nocturnal was him. To have the other band members bring such amazing music to the table has only brought the band up even higher with Deflorate.” Add the dynamic demon-shrieks and corpse-growls of Strnad, and the warlike percussion of rising extreme drumming star Shannon Lucas, and you have a brilliant and bloodthirsty band of brothers ready to cut a swath through the metal scene with a fearsome new offering.